Make sure you have Adobe® Acrobat® Reader® DC. 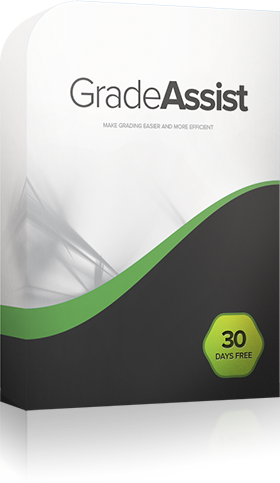 Purchase GradeAssist for Adobe® Acrobat® Reader® DC. (NOTE: If you have purchased a subscription to GradeAssist for Microsoft Word, you do not need to purchase again. Just let us know that you want the Adobe® Acrobat® Reader® DC version, and we will email you a link to download the program free of charge.) Within 3 business days, you will receive an email from Educo360, Inc. that contains a file. Download the zip file to your computer and open the folder. Select all the files (for PC, either hold the Ctrl key and click each file with your mouse, or press Ctrl + A). Then, copy the files (Ctrl + C, or right click and select Copy). Open the Start panel, and open My Computer. Open the Reader file (it may look like either example below). The copied files should appear. Close the folder, and open Adobe® Acrobat® Reader® DC. The program comments will appear on the upper right corner of the program, under "Tools" and "Add-on Tools."